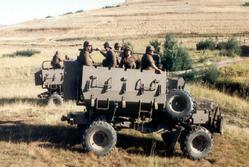 The Regiment was reformed as an armored regiment in South Africa's Citizen Force and equipped with Sherman tanks in 1949. 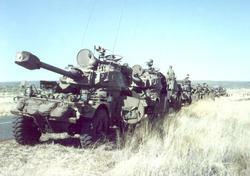 In October 1959 the then Minister of Defense, Frans Erasmus, proposed a defense reorganization plan, which included the disbandment of the Regiment. However, a cabinet reshuffle took place soon afterwards and the new Minister of Defense, Jim Fouché rescinded the decision in January 1960. 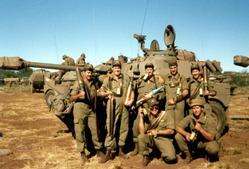 During the same year the Union of South Africa became the Republic of South Africa and left the Commonwealth and thus the decision was taken to change the name of the unit to the Light Horse Regiment. 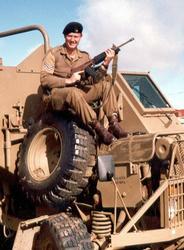 The Regiment went on to serve the South African Defence Force as an armoured car Regiment. 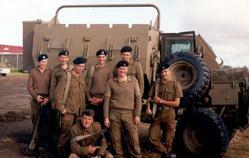 In 1975, when the unit's strength reached about 2000, a decision was taken to split the Regiment into 1 Light Horse Regiment and 2 Light Horse Regiment. 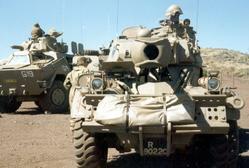 These two Regiments formed part of 72 Motorized Infantry Brigade and 81 Armoured Brigade respectively. 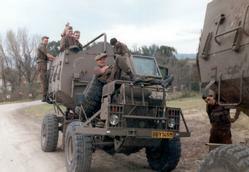 Both Regiments took part in the South African Border War in Northern South-West Africa and Angola and were also deployed in South Africa's townships in the late 1980s and early 1990s. 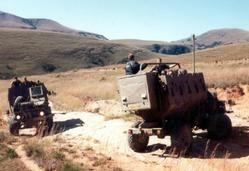 After the first fully democratic South African elections in 1994, the then newly formed South African National Defence Force embarked on a rationalization campaign, as a result of which 1 LHR and 2 LHR were reformed into a single Armoured Reconnaissance Regiment - The Light Horse Regiment - in March 1997.